New dates for 2019 to be posted soon! Take advantage of these previously recorded webinars to view introductions sand overviews to Purposeful Design's excellent line of quality educational courses. Elementary BIBLE Series: This webinar looks at the Purposeful Design Bible series Preschool (3 yr) through Grade Six. It presents the Bible truths, character traits,core concepts, and components of the series. For the "Introduction to Bible" recorded webinar, click here. For the "Teaching the Series" recorded webinar, click here. 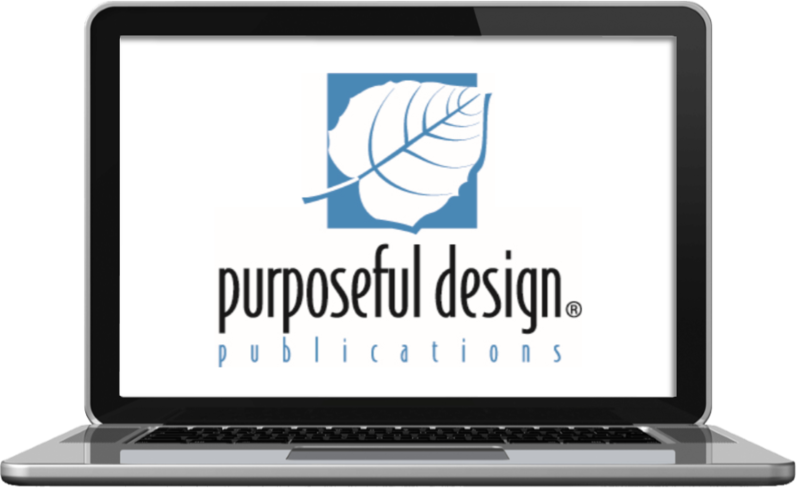 High School BIBLE Series: #LiveFully and Blueprints: Brian Burchik, author of #LiveFully and Blueprints, introduces these two high school Bible courses from Purposeful Design. #LiveFully is designed to empower students deepen their biblical roots and extend their reach of influence as a follower of Jesus. Blueprints (NEW) is about empowering students to build a life of godliness that sustains over the course of a lifetime. View the recorded webinar here. High School BIBLE Course, Introduction & Overview of Understanding the Times (5th Ed. ): This webinar takes a look at the revised textbook for "Understanding the Times," which offers an engaging look at how the tenets of the Christian worldview compares with five major competing worldviews of our day. This engaging, easy-to-understand course invites students to discover the truths of God - and our world. View the recorded webinar here. High School BIBLE Course, Introduction & Overview of Missio Dei: While this webinar was originally recorded in 2011, the overview of the Missio Dei High School Bible course provided by co-author JuLee Mecham is still relevant today. This course is designed to help students discover ways to participate in missio Dei (the mission of God). Lessons throughout the course emphasize personal application alongside new concepts, challenging and inspiring students to understand and adopt deeper levels of living out their faith. Download and view the recorded webinar here. Elementary SCIENCE Series: This webinar provides an overview of the elementary science of Purposeful Design Publications, its hands-on and investigative approach, and best practices incorporated in the series. It presents the components of the series and the materials included to tailor each lesson to the students in the classroom. For the "Introduction to Elementary Science" recorded webinar, click here. For the "Teaching the Series" recorded webinar, click here. Grades 6-9 (Upper Level) SCIENCE Series: This webinar provides an overview of the philosophy and components of the upper level science, including LIFE Science, EARTH & SPACE Science, and the new PHYSICAL science, along with the smorgasbord of labs and activities provided to tailor the lessons to the curricular objectives.For the "Introduction to Elementary Science" recorded webinar, click here. For the "Teaching the Series" recorded webinar, click here. Elementary MATH Series, 2nd Edition: This webinar provides an overview of the Purposeful Design Math, K-8. It looks at the balance of conceptual understanding, computation skills, application and reasoning provided in the series, and the components and materials included to tailor lessons to the students in the classroom. For the "Introduction to Math" recorded webinar, click here. For the "Teaching the Series" recorded webinar, click here. NEW Elementary SPELLING PLUS Series: This webinar is an introduction and overview of the philosophy and components of this revised spelling series, including materials provided to tailor each lesson for the students in the classroom. View the recorded webinar here. Elementary SPELLING Series: This webinar is an overview of the philosophy and components of the spelling series, including materials provided to tailor each lesson for the students in the classroom. View the recorded webinar here. Ages 3-11, Passport to Adventure EFL Series: Dr. Jan Dormer introduces Purposeful Design's English as a foreign language series, Passport to Adventure, which is designed to meet the unique needs of many student groups. In this series, children learn and practice important moral and spiritual principals while they are learning English. View the recorded webinar here. Grades 4-8 LITERATURE, "Mosdos Press Literature Series": This webinar presents an overview of the Mosdos Press Literature Series. This excellent series harnesses the power of literature to help students and teachers think about universal themes. It provides teacher-friendly materials, quality content, and varied and engaging language arts activities. View the recorded webinar here. High School LITERATURE, "TextWord Literature Series": This webinar provides valuable information regarding TextWord products that are designed to enable high school students to acquire a high level of solidly-based comprehension, writing, and communication skills. With this series, students discover an exciting grouping of short stories, novellas, drama, novels and noteworthy fiction. View the recorded webinar here. Middle and High School HEALTH, "Total Health Series": While this webinar was recorded several years ago (and features graphics from the first edition of this series), the information presented by Susan Boe, the author of the Total Health series, is still relevant to understanding and using this curriculum to its fullest potential. The Total Health curriculum for high school students is designed to provide students with a thorough understanding of all important physical, mental and social health issues. The Total Health curriculum for middle school students presents a well-rounded approach to physical, spiritual, mental and social health, helping to explain the changes that are occurring in and around them. View the recorded webinar here.